Welcome to Janet Elizabeth's travel page, to help find the best public transport journey planners, especially those that load quickly and are easy to plan with. When I visit a journey planner, I try to find the most accessible version or section of the web site, such as might be called "mobile version", "large print" or "text only". These are usually much quicker and easier to use. For mixed bus and train journeys I use Traveline SE - Large Text and Mobile for a quicker and easier interface. The best web site for train times is the minimalist Accessible UK Train Times (on the traintimes site) which is accessible, clear and easy to use and includes live departure boards. Remember you can use ctrl-+ (ctrl and plus) to make the text bigger. National Rail Enquiries has really helpful maps and if you create an account it can remember your journeys for you if you like. The Cross Country Trains journey planner helpfully displays ticket prices for each possible route but sadly its return journeys do not always have your specified travel preferences applied, such as avoiding London. Brighton&Hove Buses collaborate with the Council to provide a useful live bus times service. Brighton Buses also run days out and short breaks in their coach trips from March to December, like the one I took to Amiens in May 2012. Before you go to London, you can look at the helpful maps provided by Transport for London ... have you tried the interactive map? The Big Lemon buses travel the Lewes Road in Brighton using used, filtered cooking oil - how green is that?! Reach Gatwick Airport in 3/4 hour by National Express wonderfully naumbered Jetlink 747 - but follow their advice to get a ticket in advance (eg online). For Sidmouth Folk Week, use the National Rail train service to Honiton, then take Devon bus 52B to Sidmouth. Walking is better for you than riding. And regular walking refreshes you and makes it easier to walk out again. I don't mean hiking, I mean just walking ... down to the shops for example. All this is well understood by the Living Streets charity that represents such walkers. Here are places where I have enjoyed longer, recreational walks. For walks around Brighton arriving by public transport, especially Devil's Dyke, or Ditchling Beacon, visit Breeze up to the downs; you can put yourself on their mailing list to receive copies by post every year. 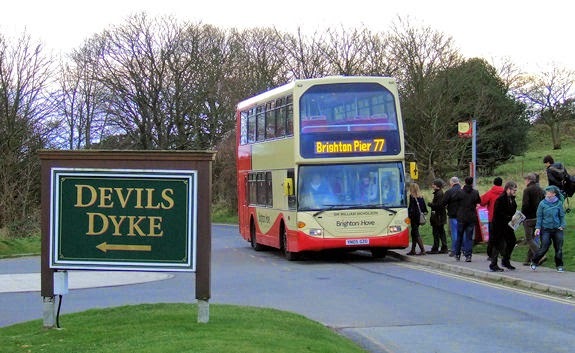 Meanwhile, go to Visit Brighton's Brighton Podcasts page and follow the link to listen to the Devils Dyke Bus 77 Podcast about things to see on the journey from Brighton to Devil's Dyke. The wonderful web site Car Free Walks has some good local walks too, for example from Race Hill to Rottingdean. 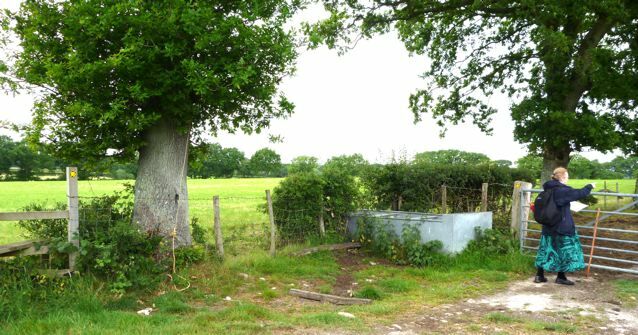 For East Sussex walks by public transport, visit South Downs Online. Without the encumbrance of a car, you can do linear walks - from A to B - without having to walk back the way you came. from Upper Dicker to Arlington Reservoir. To visit Alfriston, or Middle Farm if I fancy a walk, I like to use the Cuckmere Community Bus (shown right) from Berwick Station or from Seaford. 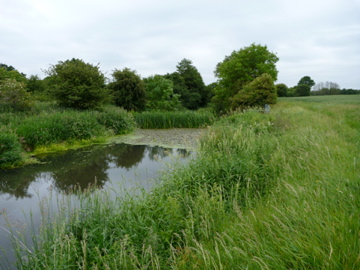 For interesting places around Wolverton, see Visit Bucks. Easiest and most popular is Google Maps, but its public transport info is often missing. For UK towns you can use street map or multimap and for world travel, MapQuest, and Lonely Planet. May 2012 - Paris by Eurostar. It took 2h54 to travel from Brighton to Ashford International and 2h52 to get from Ashford to Paris so I had plenty of time to read through the guide book I brought. April 2012 - Amiens a one-day Brighton and Hove coach trip. July 2009 - Villafranca del Bierzo, Léon, Spain, on the Camino de Santiago de Compostela. Charles and I stayed at the beautifully restored, small, family guest house La Llave where the food is fantastic and the owners speak English as if they had lived in Britain (which they have). June 2000 Latvia to look at birds and flowers. Since 1940's collectivisation whole forests of silver birch and scots pine have grown up, wild, but trees tall and straight with leaves just in the canopy. 1999 - lots of info about The Burren. For China, February 1999 - Welcome to Beijing - China-Window Home Page.